Truck lift kits are aftermarket truck accessories that increase a vehicle’s height. Their primary purpose is to raise the body of a truck to allow more room for larger wheels and tires. Lift kits are most common for trucks and off-road vehicles that want to improve performance in rugged situations. It’s important to note that the installation of a lift kit increases the vehicle’s center of gravity, which can change the truck’s driving behavior. If you are considering buying a lift kit for your vehicle, consider the type of kit to best fit your needs, as well as a few safety precautions we’ve outlined below. Lift kits may be classified into two main categories: body lifts and suspension lifts. In order to buy the right kit for your vehicle, it’s important to understand the pros and cons of both types, as well as how they differ in terms of installation. A body lift kit uses blocks or spacers to raise the body of the truck from its frame. These kits provide a one- to three-inch lift of the body from the chassis. From a cost perspective, this type of lift is less expensive than a suspension lift. If you’re looking to install larger tires on your truck, this is the type of lift for you. Body lifts raise the wheel well of your vehicle, however they won’t increase ground clearance. Generally, a body lift kit will come with body spacers and front and rear bumper brackets. They also typically include a ground strap bracket. Suspension truck lift kits produce more ground clearance and handling than a body lift kit. They replace the front and rear leaf springs of a truck to typically give drivers between four and six inches of lift on their vehicle. Some suspension lift kits can increase lift by upwards of 15 inches. By increasing the height of the wheel well, truck owners are able to accommodates taller tires. Suspension lift kits can also improve the handling of the truck compared to body lift kits. Suspension kits are more complex to install than body kits as they require more parts and typically include brake line brackets, differential drop brackets, sway-bar drop brackets, CV spacers, upper strut spacers and lifted knuckles. They generally also cost more than body lift kits. It’s important to note that truck lift kits increase a vehicle’s center of gravity, which may affect the vehicle’s stability when a driver takes a sharp turn. By lifting your truck just a few inches, you are putting the vehicle at risk for rolling over. After installing a lift kit, you will need to become familiar with the new handling characteristics of your vehicle. For example, a lift of more than four inches typically produces a noticeable decrease in handling. Lifted vehicles may also lean more in a banked turn, which is most common on an off-ramp or freeway interchange. If you are adding more than four inches of height, you will need a stabilizer to ensure that the vehicle is stable on turns. Not all lift kits include a stabilizer, and you may need to purchase one in addition to the lift kit itself. Installing a truck lift kit may void the warranty of your vehicle. 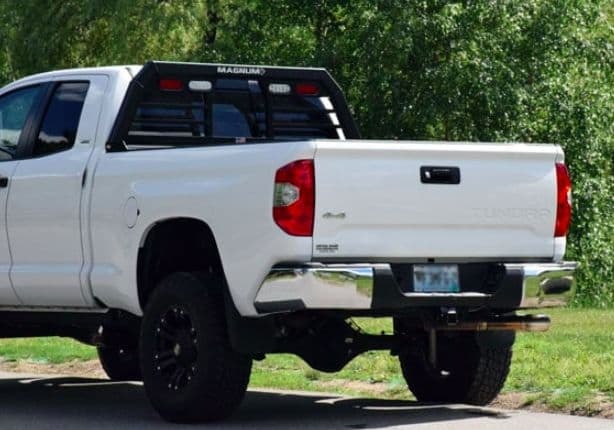 Before you install one, check if this is the case and then decide if you are willing to risk voiding the warranty of your truck for the benefits of a lift kit. If you’re unable to find this information online, contact the manufacturer of your vehicle and ask them, or inquire with the dealership where you purchased your truck. You might customize your truck with a lift kit for several reasons. 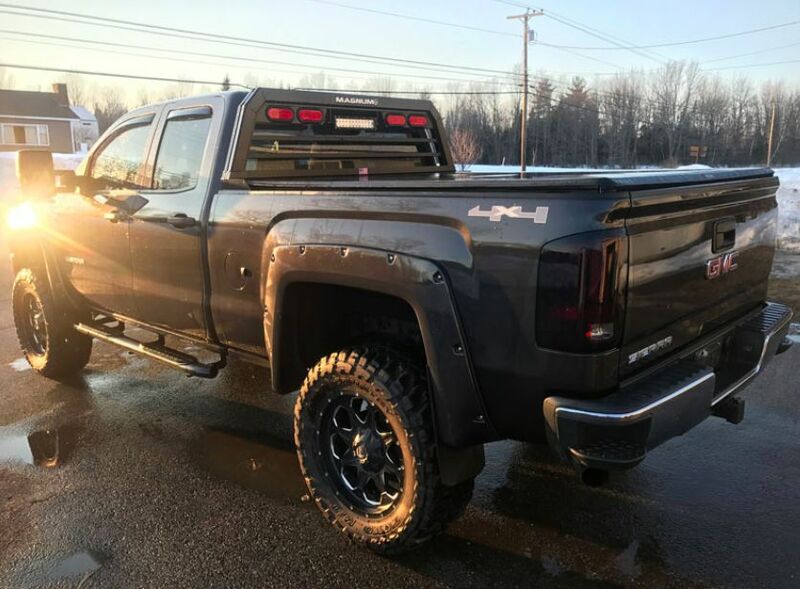 Whether your idea of fun is hitting dirt roads on the weekend, or you’re simply trying to give your truck a badass look, a truck lift kit is a great place to start. It’s important to research the type of lift kit that will best fit your vehicle before installing one. 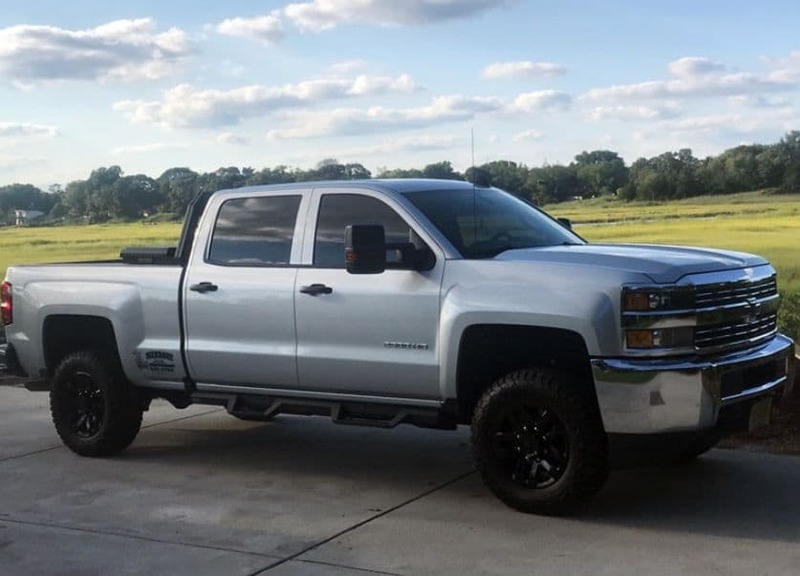 Lift kits are most commonly installed to give trucks more clearance for bigger tires, to improve the drivers experience when off-roading and to give the truck an overall tough look. Research whether your truck would benefit best from a body lift or a suspension lift. Then, explore the safety risks of installing a lift kit, and research whether a lift kit will void your vehicle’s warranty.